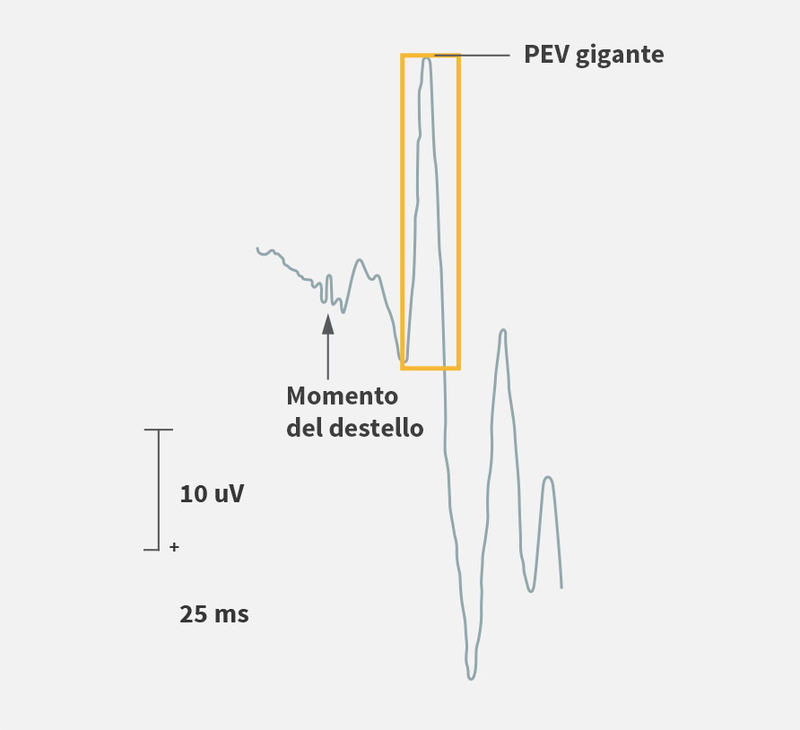 Se puede utilizar el EEG con FEI de baja frecuencia para detectar la fotosensibilidad en niños con la enfermedad CLN2. 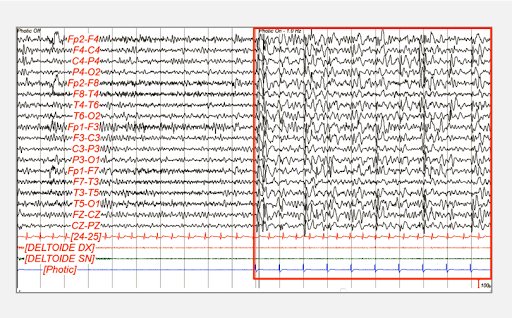 EEG utilizado con permiso de Nicola Specchio, Médico PhD. 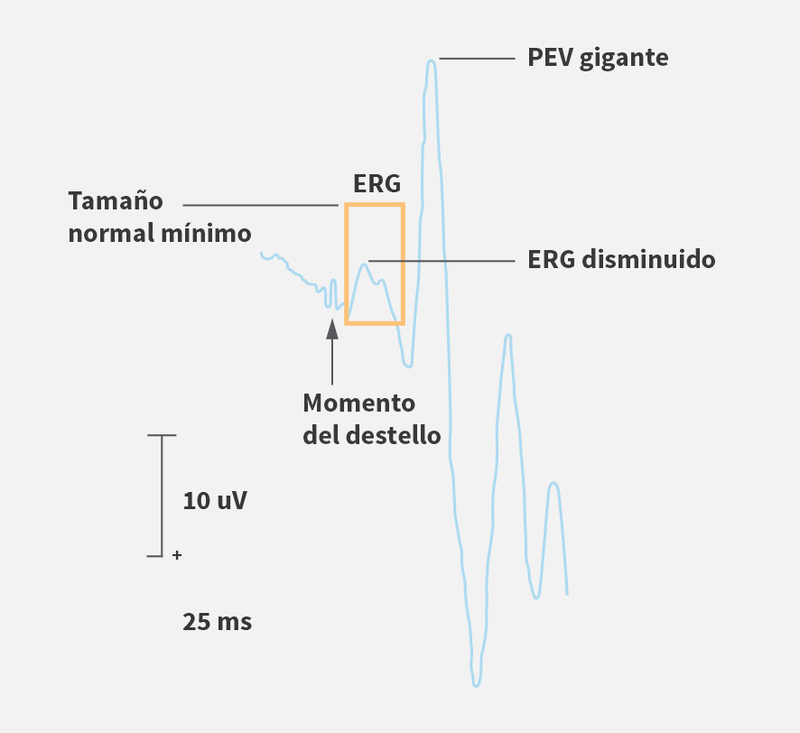 Descubra las implicaciones clínicas únicas que tiene el EEG con FEI de baja frecuencia, para los niños con la enfermedad CLN2. Worgall S. et al. Neurology. 7 Ago 2007;69(6):521-35. Hay varias pruebas clínicas que pueden ayudar a identificar la enfermedad CLN2, pero sólo las pruebas enzimáticas o moleculares pueden diagnosticar definitivamente la enfermedad CLN2. Referencias: 1. Chang M, Cooper JD, Davidson BL, et al. CLN2. In: Mole S, Williams R, and Goebel H, eds. The neuronal ceroid lipofuscinoses (Batten Disease). 2nd ed. Oxford, United Kingdom: Oxford University Press; 2011:80-109. 2. Mole SE, Williams RE, and Goebel HH. 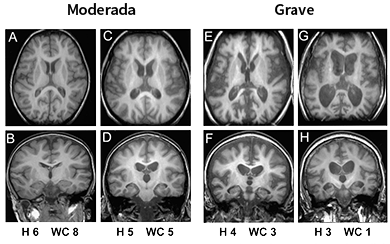 Correlations between genotype, ultrastructural morphology and clinical phenotype in the neuronal ceroid lipofuscinoses. Neurogenetics. 2005;6:107-126. 3. Albert DV, Yin H, De Los Reyes EC, Vidaurre J. Unique Characteristics of the photoparoxysmal response in patients with neuronal ceroid lipofuscinosis type 2: can EEG be a biomarker? [Epub ahead of print July 21, 2016]. J Child Neurol. DOI: 10.1177/0883073816658659. 4. Fietz M, AlSayed M, Burke D, et al. 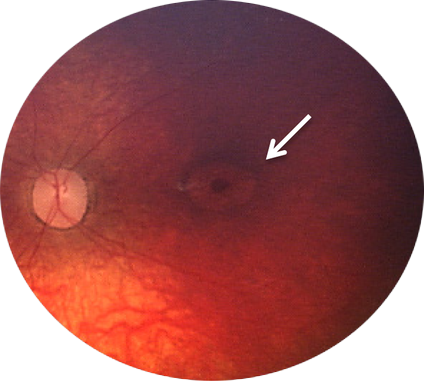 Diagnosis of neuronal ceroid lipofuscinosis type 2 (CLN2 disease): Expert recommendations for early detection and laboratory diagnosis. [Epub ahead of print July 25, 2016]. Mol Genet Metab. doi: 10.1016/j.ymgme.2016.07.011. 5. Mole SE, Williams RE. Neuronal ceroid-lipofuscinoses. 2001 Oct 10 [Updated 2013 Aug 1]. In: Pagon RA, Adam MP, Ardinger HH, et al., editors. GeneReviews® [internet]. Seattle, WA: University of Washington; 1993-2016. 6. Orlin A, Sondhi D, Witmer MT, et al. 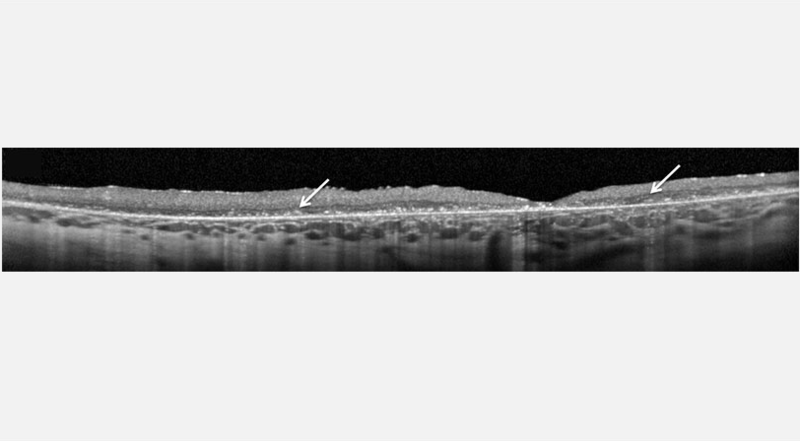 Spectrum of ocular manifestations in CLN2-associated Batten (Jansky-Bielschowsky) Disease correlate with advancing age and deteriorating neurological function. PLoS One. 2013;8:e73128. doi:10.1371/journal.pone.0073128. 7. Williams RE, Adams HR, Blohm M, et al. Expert opinion on the management of CLN2 disease. Poster session presented at: The 12th Annual WORLD Symposium; February – March 2016; San Diego, CA.